So, you think, the latest FLA recordings are too much guitar-driven? Well, you can be helped, since the Spanish Electro/Industrial project Pail offers alternatively a 10-tracker filled with a remarkable 90s EBM/Electronic-music flavour, which reaches the programming skills of these Canadian heroes. If I tell you additionally, that Mr. FLA-producer himself, Greg Reely, has had his claws at the mixing and mastering desk for this album, I guess, you all can imagine, how much related a few of the tracks are sounding. Another hint: just check out the vocal performance of the chorus of the opener 'Burnt Out System' ' is it Bill Leeb behind the microphone? Manix S., the mastermind behind Pail, takes his time to produce full-length albums. Also this one is long awaited, 'Faith In The Void' is at least his third album in nearly 13 years of his project career. Quite explainable, because Manix stands also behind the Spanish label Caustic Records (among others Plasmodivm, Culture KultÃ¼r...), he has, as expected, a day job to pay all bills, so his free time to act as a music project is limited. Therefore a new Pail album is a real gift, especially to all of you having an open ear for a well produced, crafty Electro/Industrial-album which reduces newer tendencies of ouf the Harsh EBM/Hellectro/TBM genre to one or two tracks ('Ingeniera Del Consentimiento' for instance). Don't expect a total FLA rip-off, because Manix knows quite well to play with diverse styles. There can be discovered Trance-elements in 'Hyper Reality', or a pure old-school Ahalt-EBM performance with 'Energy Bodies'. 'Faith In The Void' offers 10 masterpieces, which are all that matured produced and mixed, that some of Manix's attributes to different styles do not alter the good impression. The awesome looking digipack (3 panel/12 pages booklet included) gives additionally a detailed and with all lyrics included expression of art. And if you're looking for a chance to pick up a special goody ' there is available a limited edition of only 50 exemplars, which features asides the album a shirt, patch, lanyard, pins all packaged in a wooden box. A must-buy item! Swedish Harsh-EBM musician Fredrik Croona has founded his very own label Twisted Flesh Recordings, and after the release of a first introducing compilation entitled 'Face The Darkness 1', it was relatively expectable, that Fredrik's own Project Rotten would earlier or later enter a free slot in his label stable. 'Remixing the Flesh' is, as the title announces it, sort of a remix companion to Fredrik's debut 'Freakshow', self-released during 2010. Rather acting like an EP, this download-only release offers 6 foreign-band remix contributions by ES 23, Say Just Words (with two remixes on 'Buried Alive' and 'Nightmares'), Ad Inferna, Anamadim and Incubite. Besides this, you'll get a new 'Melancholic Version' of the track 'The Lust To Kill' and a marvellous new tune entitled 'Desecrating The Dead', which at least is the highlight of this EP. No one of the remix contributors falls down the drain, so far, so good, but also no one is able to offer something remarkable, which drifts a bit away from the usual Harsh-EBM formula. It can't be attested, that this EP deals with innovation and it proves, that the own work of Project Rotten, especially discovered with the new track 'Desecrating The Dead', offers the most maturity. But in all a good bridging to wait for new recordings of this Swedish music project. Back with some new recordings again produced on the dreamy Canary islands, the Spanish Electro/Industrial-producer Sandro Veras offers at least 14 refined pieces of work. Compared to his highly accaimed debut 'Paradise Under Fire', there can be noticed a clear development away from the total harsh EBM performance to a more thought, nearly smooth Futurepop-infiltrated sound-design. Sandro has grown in his musically evolution, his compositions are more filled and layered, plus he still adds his well recognizeable dedication for special fx elements often thrown in between his pummeling rhythm patterns. The label sheet names among others the German Solitary Experiments as a quell of inspiration, and I agree in that case, that some of Sandro's new tracks draw a strong relation to the early recordings of this famous act ('Unbreakable Will', 'I Have killed A Man', or 'A New Beginning'). These are the tracks, where Sandro allows the integration of clear and nearly natural sounding vocals. As for personal favorites, I nevertheless name his rather mid-tempo based, ominous sounding tracks like 'The Beginning Of My End', 'Smashing White Pills', or 'RÃ©quiem (Missa Pro Defunctis)'. Although I admire the musically development with this new album, I have to name these ones, because they represent the best the strong and merciless kind more obviously discovered on his above mentioned debut ' remembrances to the harsh, golden Spanish days with Dioxyde and Asseptic Room come to mind by stomping with these intense, harsh EBM tunes. 72 minutes of quality Electro/Industrial tracks, for the most part filled with energetic fx-driven ideas, well, this all are quite good arguments to invest your bucks to purchase this album. For years Steve Lippert is taking care of the Anna Logue Records' releases graphics. In 2008 he founded his own label which is a sort of Anna Logue Records sub label as Marc Schaffer is taking care of the distribution. I just received the new lot of Attractive Co-ordinates releases from Marc and I'll talk you about these new three 7"s. The first one is by Steve Lippert's own musical project Treeline. Treeline born in 1983 when Steve and Clive Weston bought some very cheap instruments - a Casio SK-1 and a Casio VL-Tone. They recorded ten tracks but they never released them. Seven years after, Steve, borrowed a Yamaha DX27 and recorded some more new stuff but always using cheap equipment (how does it sounds a mono tape recording to you?). Nothing new happened until the last year when the duo decided to put unto the first label's 7" compilation titled "Attractive! Too" their track "It's No Good Trying To Reason With Me". Now, it was the time to release something new and they picked up "Too Hollow" to be released as a 7". Originally recorded around 1986, the track is an experiment with tv and radio recordings mixed with few synth melodies. The result sounds quite dreamy and cause a feeling of anxiety too. I had the same feeling of when you see one of those old dolls on a bed pillow. The B side, has a "The Phone Mix" of A side. The track has the same feeling but it sounds even more hollow that the original one as some sounds have been removed and the vocals reversed. The second release is a new Poeme Electronique single. After the CD re-release of 'The Echoes Fade' we have the chance to check a new mix of "She's An Image" (Dave Hewson enriched the bass line and made of it a song which now sounds more dancey and upbeat) and a new song, "Rubber Dollies", which is coming from the band's vault of 80s unreleased tracks. It is a great dance tune with nice arpeggios, a tight bass line, upbeat rhythms and a great Sharon Abbott vocal performance. This is an appetizer of their forthcoming album "Fashion for all Sexes". Along with these old material, they are also preparing an album of new recordings. The third release of the bunch is a Stranger Station 7". Anna Logue Records released back in 2009 an album titled "Echoes In Infinity" (album that will be reissued soon on CD with bonus tracks) which contained their only 7" "Minutes To Silence" plus other eight unreleased tracks. Their characteristic was that they didn't use drums. Rhythms were on the bass lines. 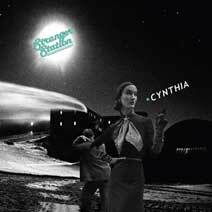 Anyway, this new 7" contains three unreleased tracks: "Cynthia", "Casey" and "Magic Carpet". The three tunes have three different singers Audrey, Pip and Corinne. All the tracks are based on melancholic synth melodies / vocal duets and they sound quite dreamy and they recalled me a minimal synth version of some 80s Robert Wyatt tracks (check "At Last I Am Free", for example). Emme Ya is the magickal/musical project of a Columbian guy called Edgar Kerval. His second album ATAVASTIC DREAMS AND PHALLIC TOTEMS has been recently released by Cold Spring Records. Being magically influenced by Aleister Crowley, Edgar based his second album on on the mysterious African Dogon tribe and their secret oral tradition. In particular, as the test pressing says: the Dogon had advanced astronomical knowledge beyond their means, without any instruments. They revealed that the star Sirius was orbited by the 'smallest and heaviest of all stars' and drew its elliptical orbit, which spans 50 years. This white dwarf (Sirius B) is so invisible that the first image was only obtained by scientists in 1970. But the Dogon also told of a third star in the system named Emme Ya (now Sirius C). This was only discovered in 1995 and only with the use of advanced infrared imaging. The Dogon say that their information was given to their ancestors through contact with beings from the star system of Sirius, calling these beings Nommos or 'the monitors of the universe'. The five tracks of the album, musically, sound like a mix of early Coil of the "How To Destroy Angels" period, early Current 93 and Lustmord. Sidereal sounds are mixed with light melodic drones, vocal samples (mostly recitative vocals or people cries) and sometimes metal percussions and humming. Reading so, you could imagine that ATAVASTIC DREAMS AND PHALLIC TOTEMS is an industrial music pastiche but it isn't. Ritualistic music has its roots on bands we all know but Emme Ya succeeded into making his own formula working.